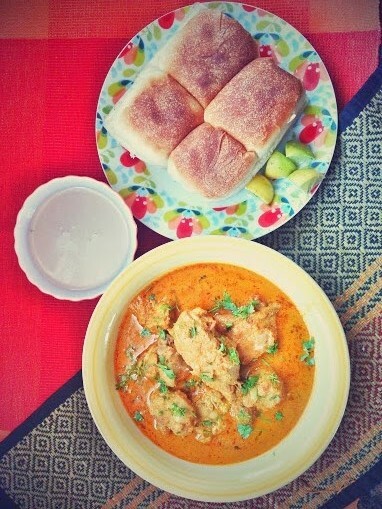 This is another of my all time favorites – Konkani Kurle (Crab) Ambat(Curry). I think of all the produce from the sea, crabs are the tastiest and I love the texture of its meat. The crabs that we get in and around Mumbai coast are more fleshy with sweeter flesh as compared to the ones we get here in Hyderabad. Whenever I have a trip planned to Mumbai, I ask my mom to keep the crab curry ready and now it has become a habit for her. 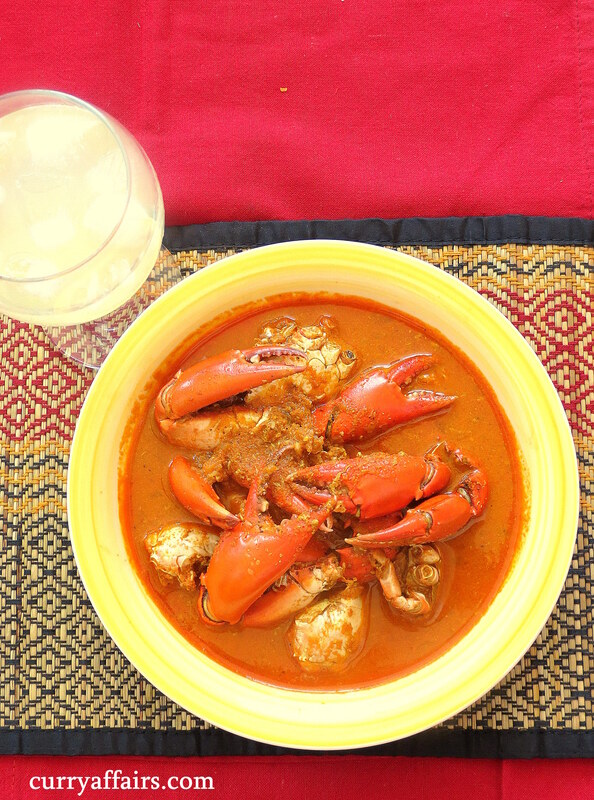 You need to put aside a minimum of an hour to eat this crab curry as the crabs take time to break and remove the meat. The crabs taste even better the next day after cooking with the curry marinating the meat. However its a very simple dish to cook and doesnt take more than 30 mins of cooking time. Here is my mom’s recipe for Konkani Crab Curry or Kurle Ambat. Clean the crabs. I still haven’t mastered this art and get it cleaned from the place where I buy the crabs. I just wash the crabs thoroughly before starting. You can slightly crack the shells so that the gravy will reach the meat. In a small pan take 1 tbsp oil and roast coriander seeds and red chillies. Grind in the mixer with coconut , a pinch of turmeric and 1 marble sized ball of tamarind. Grind this to a fine paste as finer the paste better the taste. In a large pan, heat 2 tsp oil. Fry 2 medium sized onions till pink. Now add crabs and sauté for a minute. Add the masala and cook. Adjust the salt according to taste. Crabs take around 15 mins to cook on medium flame.